Millions of doctors, lawyers, professionals, and small business owners use their vehicles for business. 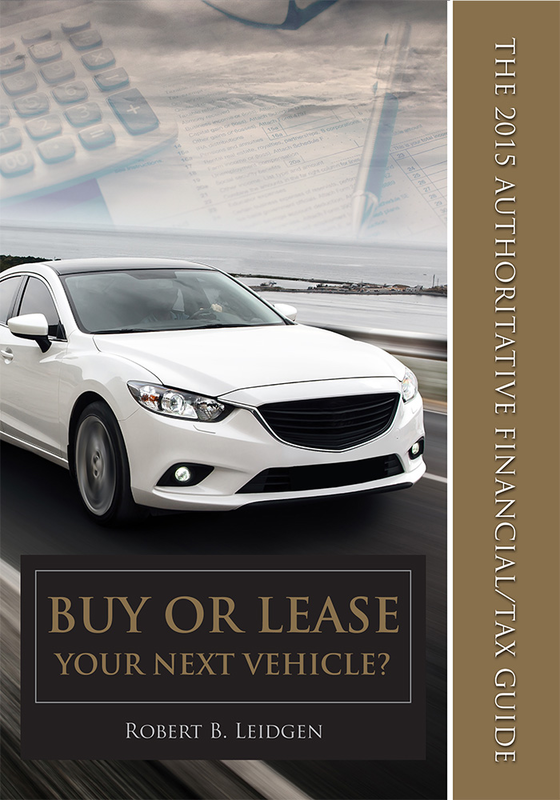 Each faces the question of whether to purchase or lease a business-use vehicle. Many rely on their CPA, banker, or financial advisor to help them make this decision. Others struggle to make the decision on their own. A proper analysis should take into account all financial and tax factors related to the decision. In his 30 years in the automobile business, author Bob Leidgen has found that few people are equipped to make this crucial decision properly. With ever-changing and more complex tax laws, as well as the many purchasing and leasing options available in the market today, the correct decision may not be obvious and the wrong decision can cost someone thousands of dollars. Anyone thinking about leasing or purchasing a vehicle for business and any professional giving tax advice to clients will benefit from reading this current, comprehensive, and informative book. Robert B. Leidgen graduated from Western Kentucky University with a degree in Communication and Business/Economics. Bob started Alpha Leasing Company, Inc. at the age of 25 and has watched it grow for 30 years. His knowledge of automobiles and auto leasing/financing, along with his passionate pursuit of the tax law as it pertains to vehicles, has made him a recognized auto tax/finance/leasing expert nationally. In this book, Bob is delighted to share some of the expertise and knowledge that he has obtained over 30 years. Dennis L. Branson has Accounting and Finance degrees from the University of Louisville, as well as an MBA. He is also a Certified Management Accountant (CMA) and taught Corporate Finance and Economics courses at the University of Louisville for several years. Dennis entered the automobile industry in 1995, and has worked with Bob at Alpha Leasing Company, Inc. since 2001.